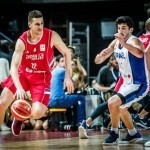 The Serbian national team lost 70 – 63 against Greece in the second part of the World Cup 2019 Qualifications. Aleksandar Đorđević’s squad didn’t show enough energy in Crete against the first team in the Group L.
On paper, Serbia had a respectable team but without enough time during preparations process and especially without any friendly games Greece was too strong. Bogdan Bogdanović and company scored only 2 points in the crucial minutes. 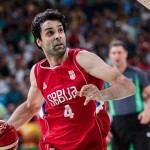 Also, the team showed lack of communication in defence and maybe that was the main reason why Serbia lost. And the fact that Greeks were guarding Bogdanović very well while his teammates didn’t have any other solution but to pass him the ball in offence. The Sacramento Kings shooting guard (Bogdanović) was the best scorer with 19 points while Stefan Jović (Munich point guard) finished the match with 11. 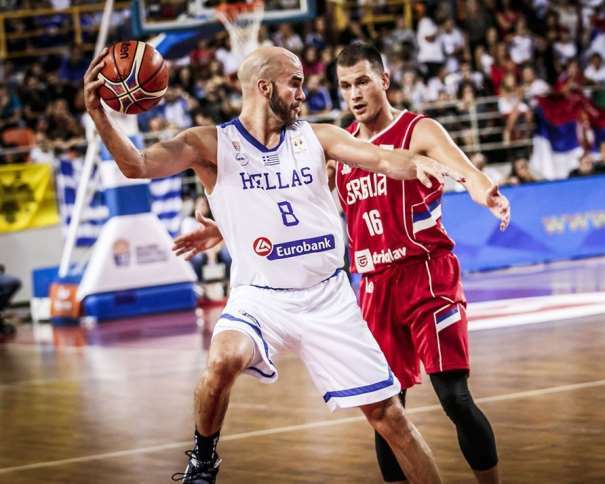 On the other side, Nick Calathes and Georgios Printezis scored 15 points each, while Calathes also added 5 rebounds and 5 assists. 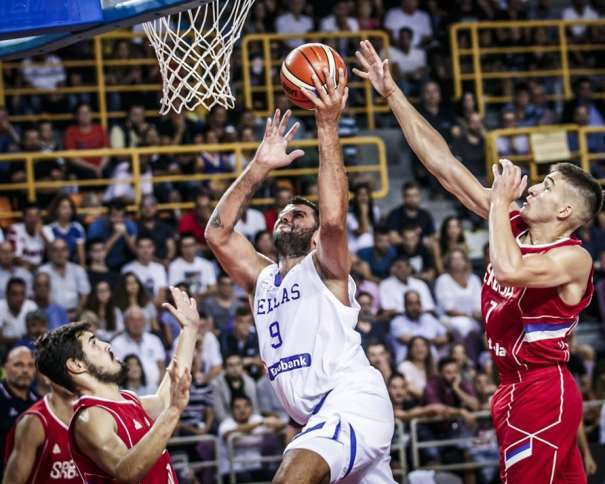 Kostas Sloukas also had an important role in his team victory. The Fenerbahce player finished the game with 11 points, 5 jumps and 4 assists. A Good thing for Đorđević’s team is the fact that they are still on the third position with a score of 4 – 3 (two losses against Germany in the first round and now against Greece). So if they want to defend their silver medal from the last World Cup in 2014, Serbia needs to stay better than Israel and Georgia (3 wins and 4 losses each one). 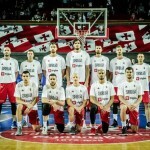 The Next chance for the Serbian national team will be on Sunday, September 16th, against Estonia in Belgrade, Serbia. They will have the crowd to help the team in one of the most important games of this Qualifications for the World Cup in China (2019).